It’s taken me almost a year to post this recipe since I first made it for a friend’s party. Nonetheless, that doesn’t mean that I wasn’t incredibly eager to post it. I was just waiting for the right time of year and the day before Thanksgiving seemed appropriate! The recipe uses sirloin steak tips as the star of the dish, which is not anywhere near as tender as a tenderloin, but it packs more beef flavor for a much more affordable price. Aside from the size and difference in cut of meat, the recipe is a pretty classic Beef Wellington recipe because it uses a mushroom duxelles (fancy French words = delicious) to coat the meat inside the pastry. 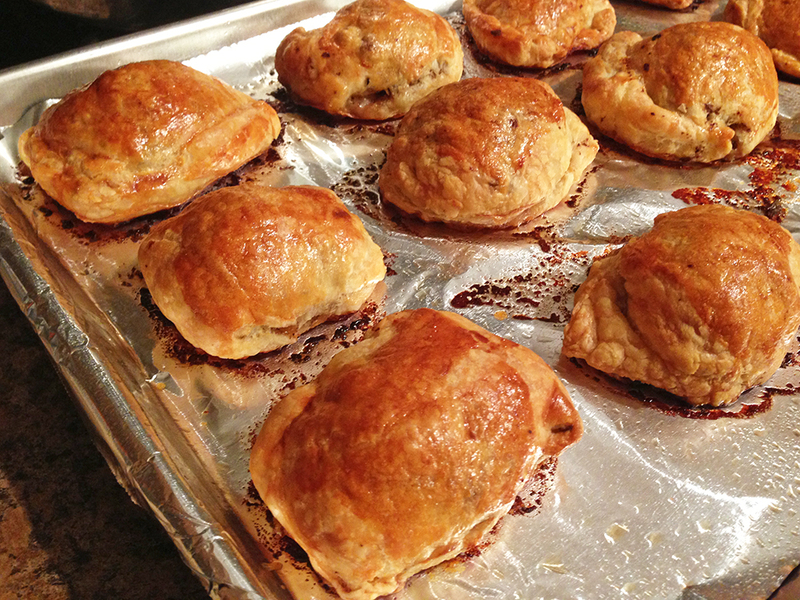 These mini-wellingtons are great for large gatherings or for just making a more manageable portion for two (i.e. you can cut down the recipe pretty easily). You can also make them ahead of time, freeze them, and thaw before baking whenever you’re ready to use them! 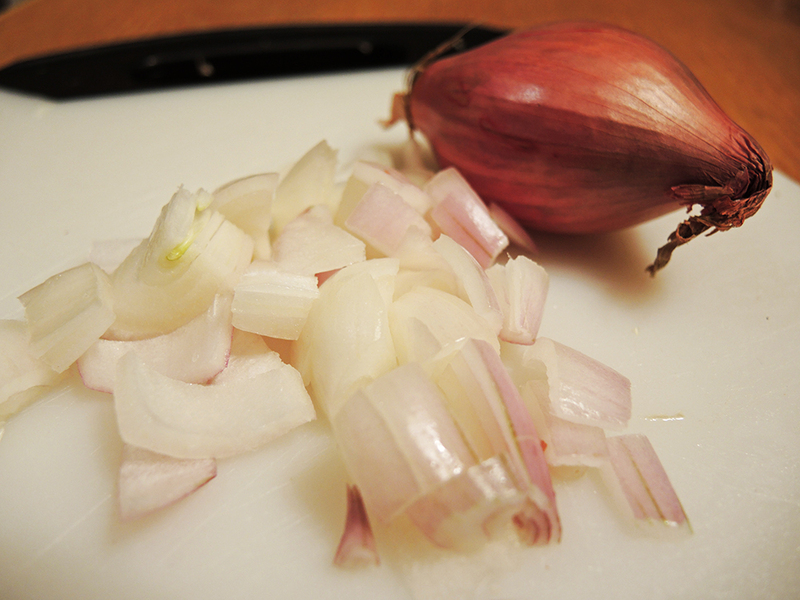 In the recipe below I have two varieties of preparation. The first is more like a usual wellington with one piece of meat encased in a flaky puff pastry that you can slice into servings. 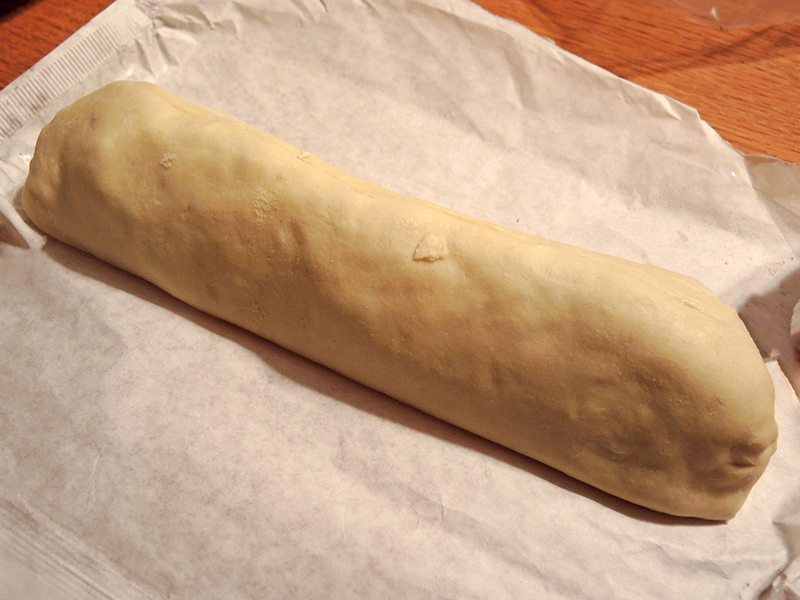 The other is a pre-cut version of the wellington that makes single-serving portions. No matter which you choose, the flavors are equally fantastic. 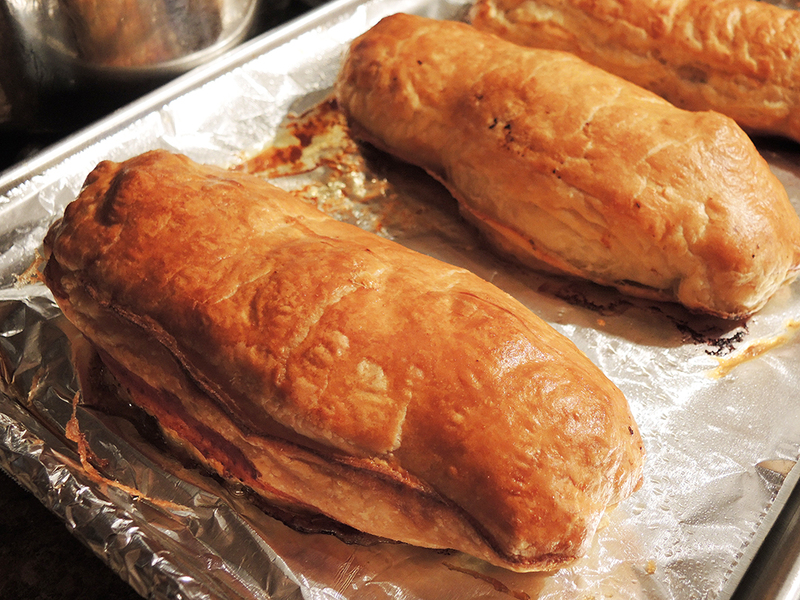 Click here for my super classy Pork Wellington Recipe as well! Makes 12 servings at roughly 240 calories per serving. 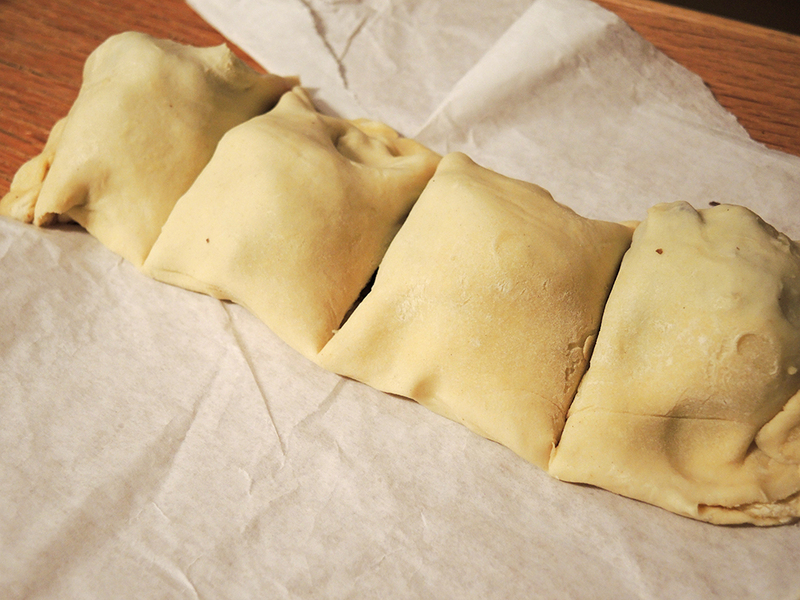 Take out the puff pastry and let it thaw for about 2 hours so that it is ready to use. You can also thaw it in the fridge over night. Just be careful not to over-thaw it. The dough should be soft enough to bend, but stiff enough that it doesn’t stick to anything. Keep it in the fridge until you are ready to use it in the recipe. 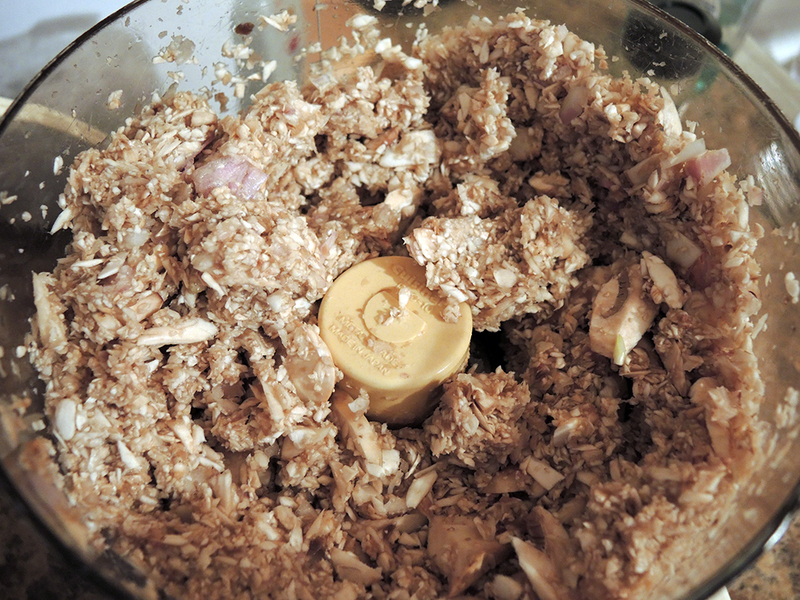 In a large food processor, dump in the mushrooms and run the processor until the mushrooms are finely chopped. You may need to scrape down the sides a couple of times to make sure you get all of the bigger pieces. 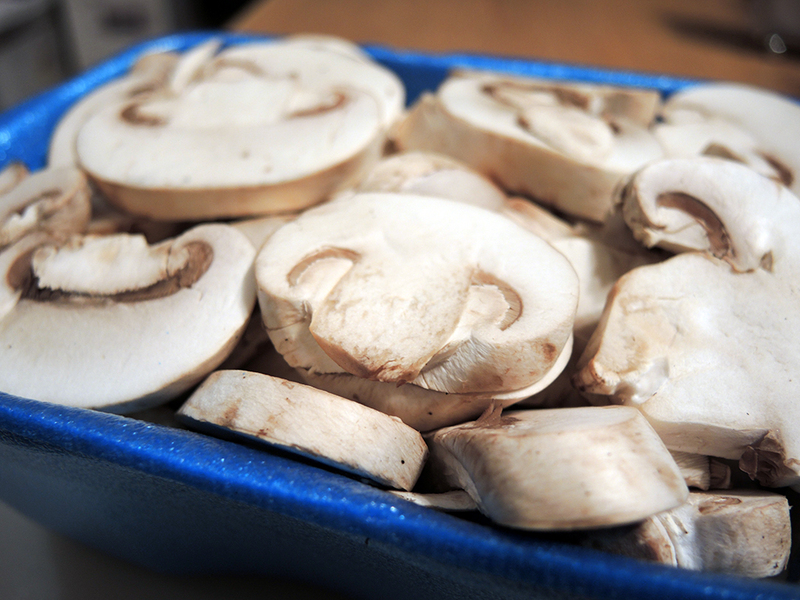 Place the mushrooms, shallots, thyme, and salt into a large pan on medium heat. You don’t want to fry the mushrooms as much as soften them. Keep stirring every few minutes or so until there is no longer much moisture left in the mushrooms. Admittedly, this will take some time in the realm of 30 minutes or so. When the mushrooms start to get dry, add in the dry red wine. Stir occasionally until most of the moisture is gone from the pan. You don’t want to dry out the ingredients, but you don’t want to be able to see any liquid rolling around in the pan either. Remove the mushroom duxelles to a small bowl and let it cool before covering it until you are ready to use it. 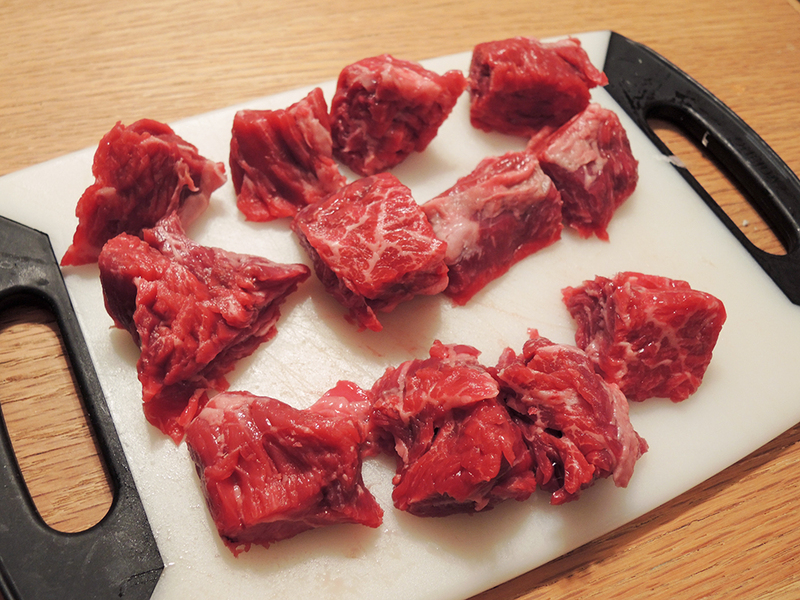 Before preparing the sirloin steak tips, you have the choice to either leave the strips whole or to cut them into quarters. This all just depends on the presentation you are going for. 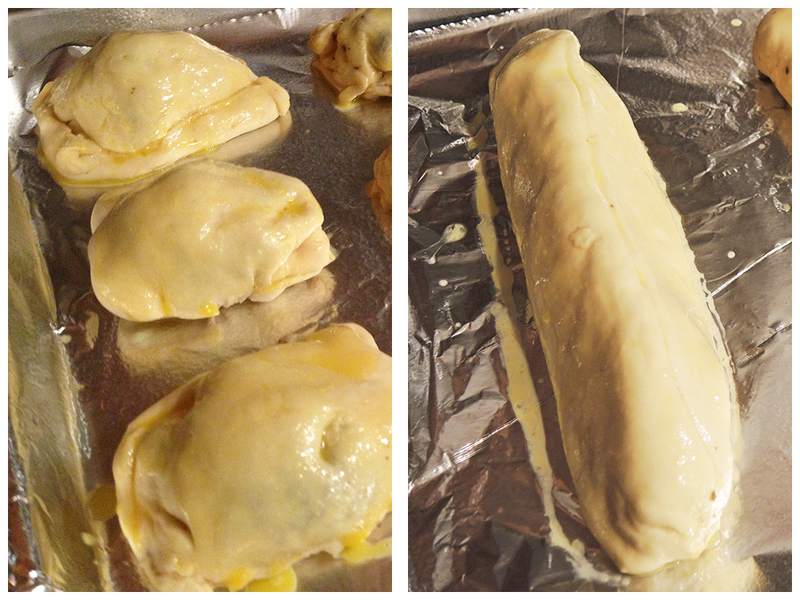 Leaving the strips while is much easier, but cutting them into cubes allows you to create single-serve wellingtons. The recipe has pictures for both, so you’re good no matter what you choose! 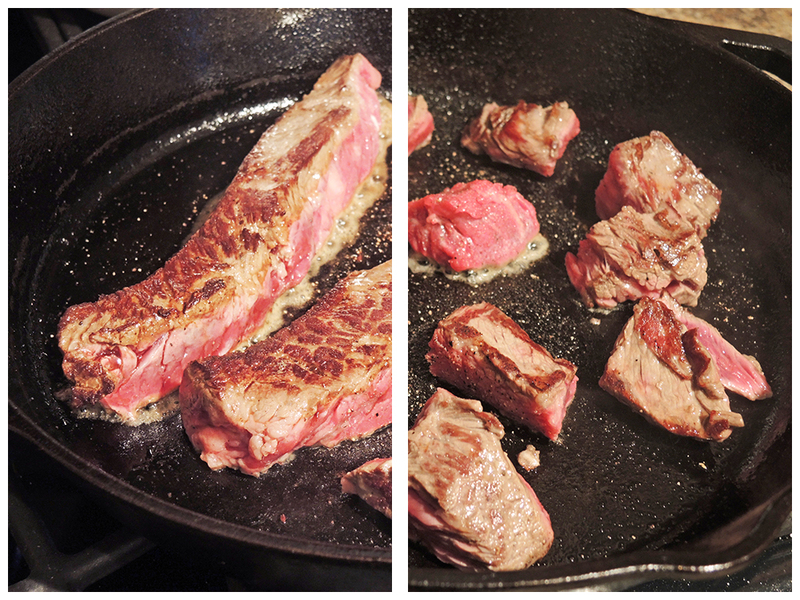 You can use the same pan after giving it a quick rinse or use a different pan to brown the meat on high heat. Put a little bit of oil or cooking spray in the pan to keep the meat from sticking. Season the meat with a pinch of salt and pepper. 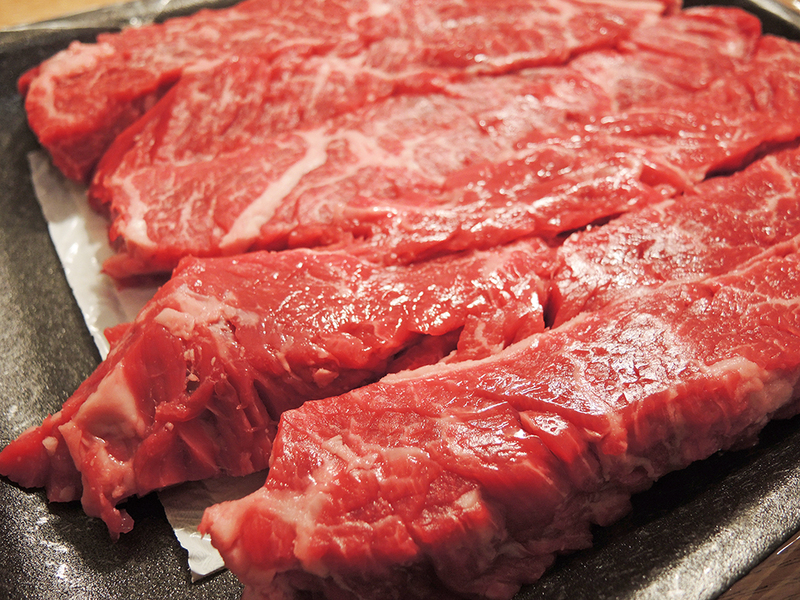 Whether you use a long sirloin strip or cut it into four pieces, just be sure to brown the meat on all sides. You are not trying to cook it! You just want a sear the meat on all sides to give it flavor and minimize the amount of liquid the meat might release. 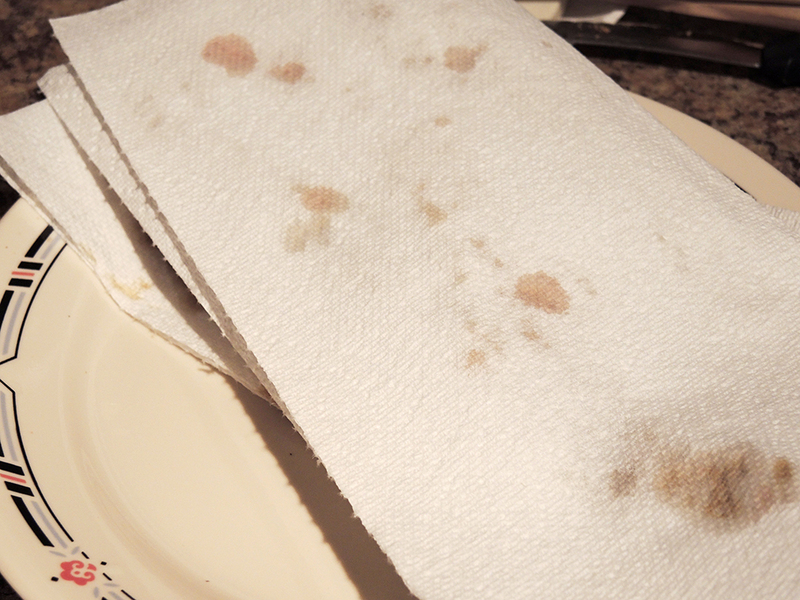 When the meat is browned take it out of the pan and place it on a paper towel lined plate where you can lightly pat it dry. It’s important to try and minimize the amount of liquid that the meat (or mushrooms for that matter) can release during the cooking process. While the ingredients cool, line a baking sheet with aluminum foil or parchment paper. Use some cooking spray to lightly coat the pan. 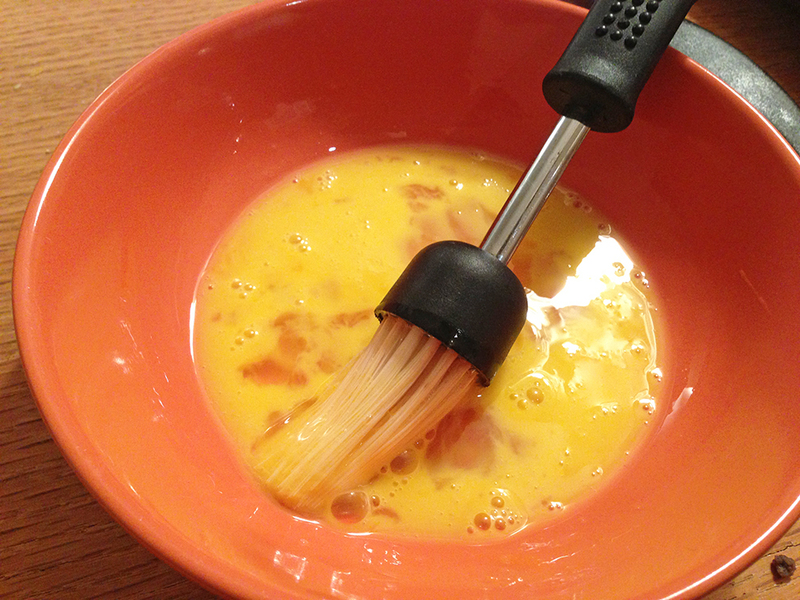 In a small bowl crack an egg and beat it well to create an egg wash that you will use later. 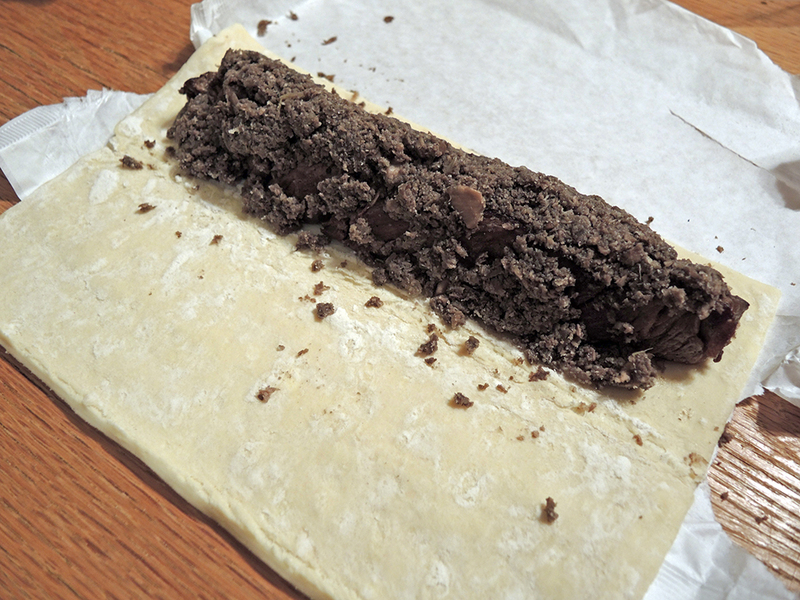 Next, open once package of puff pastry and roll out one of the two packages of dough (a 12 x 16 sheet) on a clean surface or on some wax paper (lazily, I just used the package it came in, by spreading it out). 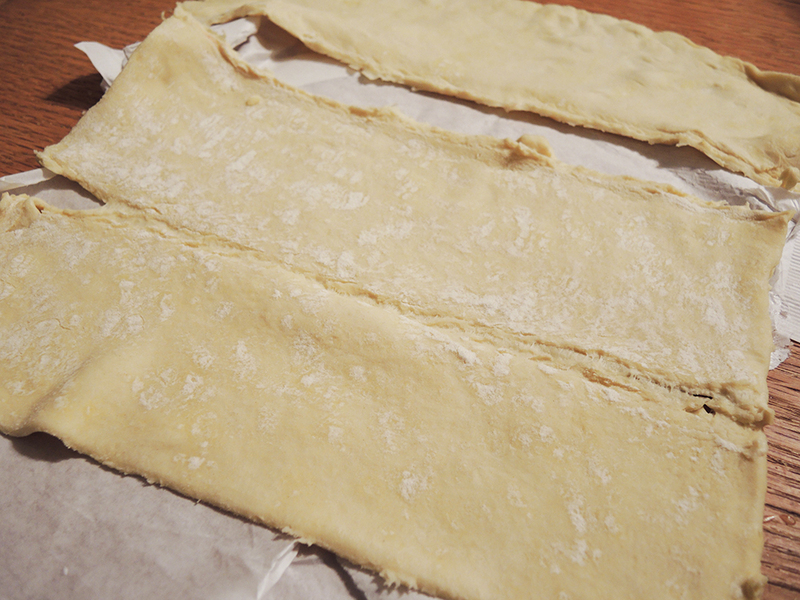 With the pastry still cold, but malleable, use a sharp knife to cut 1/3 of the pastry off along the shorter side. Set this 1/3 piece aside because you will use it for another mini wellington later. 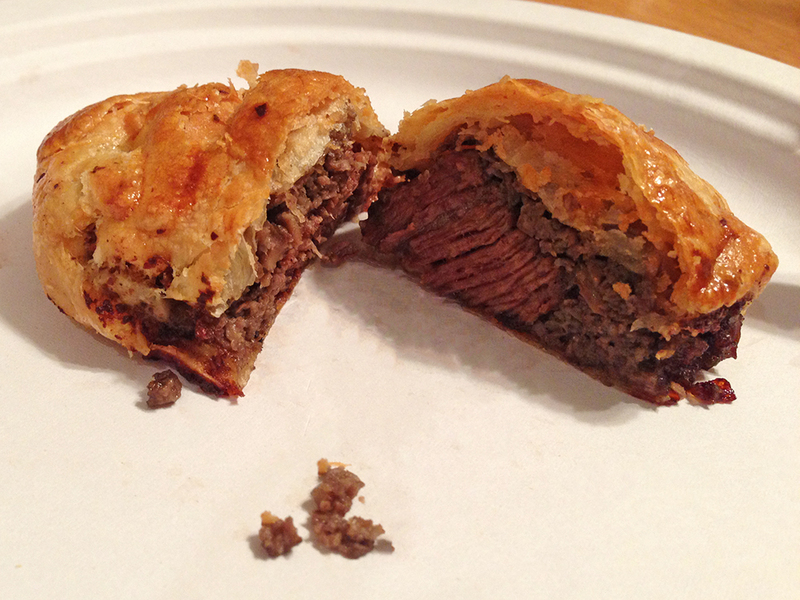 Place the meat on the edge of the 2/3 piece of pastry. If you used one long piece of sirloin or 4 smaller pieces, you will arrange them the same way across the edge of the pastry. 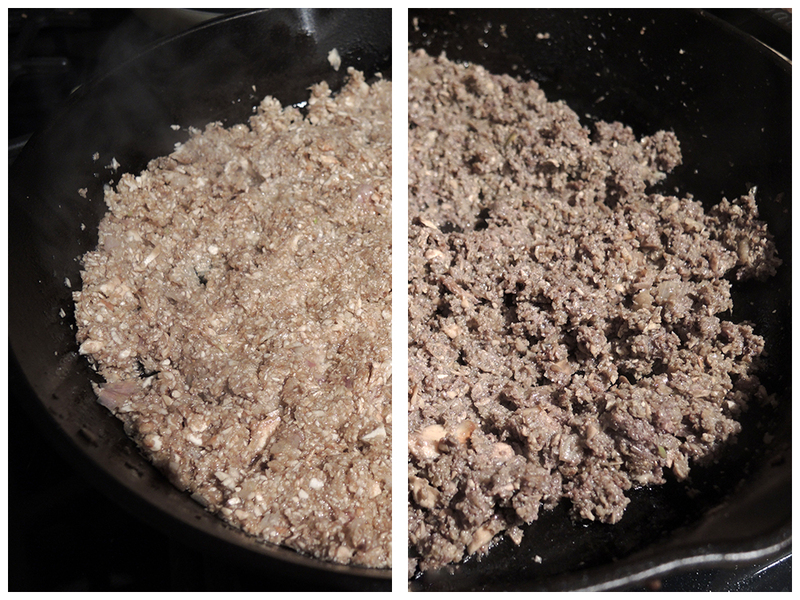 Using a spoon, scoop some of the mushroom duxelles over the meat and press it down lightly all around to cover it. It is ok if you don’t get the bottom of the meat. 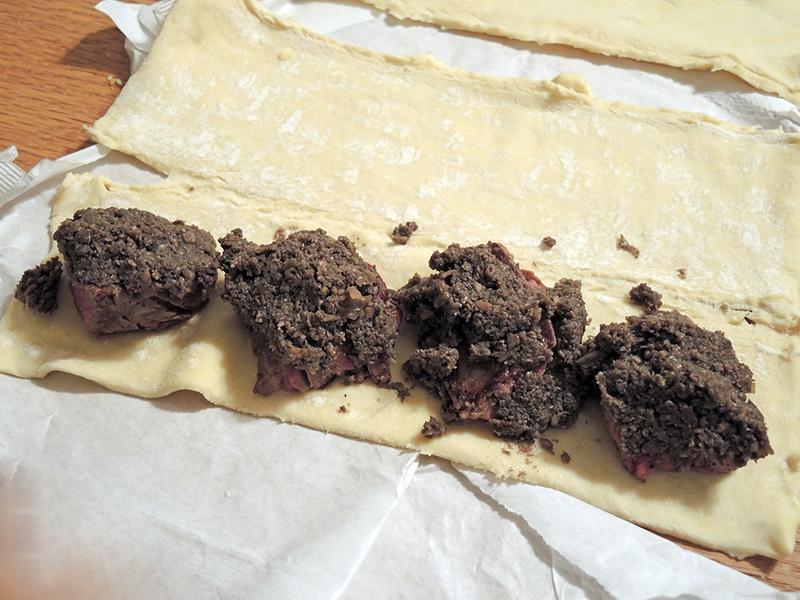 With the mushroom duxelles applied, take the other half of the pastry and fold it over the meat. Don’t press down on the pastry because that will ruin it’s ability to puff, but you do want to close up any gaps and make sure that the meat is completely covered. If you cut the meat into smaller pieces to make hand-holdable wellingtons, use a sharp knife to cut the pastry so that each piece of meat is separated from the other pieces. After separating the smaller pieces lightly seal them inside their own individual pouches by pressing down a bit along the edges. It’s ok if you need to fold them a bit at the edges to close them up. Repeat this process for the remaining meat and pastry. You should be able to get 3 long mini-wellingtons out of this or 12 small single serve wellingtons. 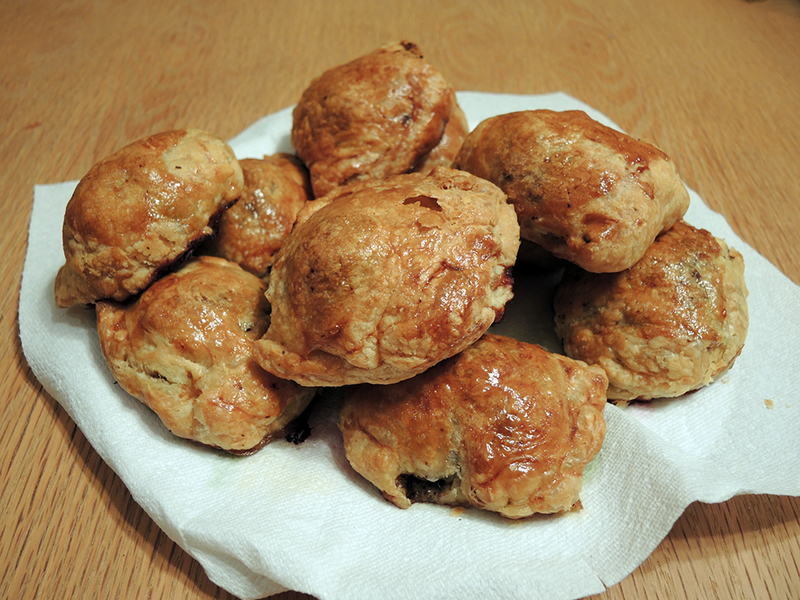 Place the wellingtons on the baking sheet and brush them with the egg wash all over the the top. This gives them a beautiful golden brown color when they’re done! Place in the oven and bake for 35-40 minutes. 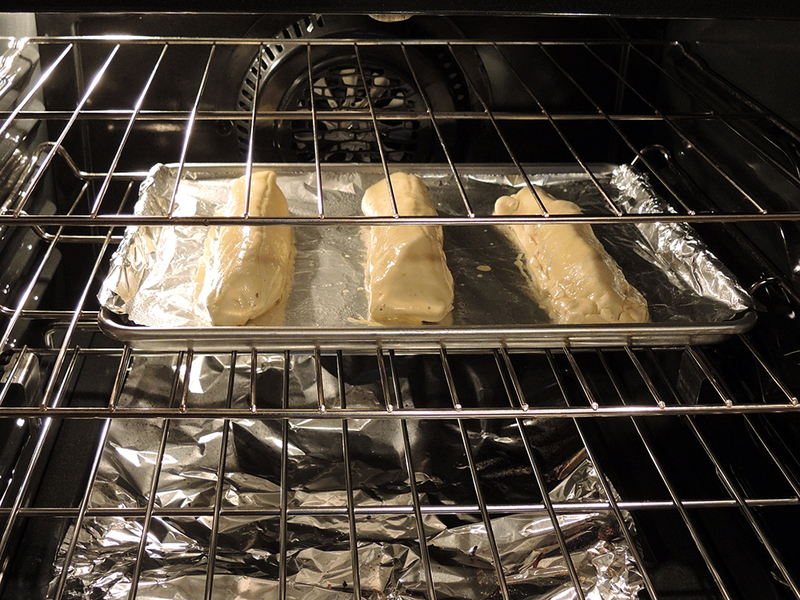 Remove the wellingtons from the oven and let them cool for 10 minutes or so before serving or slicing them. You can also let them cool completely and re-heat them fairly easily without much harm. Enjoy the single serve portions as a great party appetizer or serve the whole sirloin strip as a main dish by slicing it into quarters using a sharp serrated bread knife (sorry, I don’t have a picture for this, but I assure you, it’s beautiful!). Ok, this is genius and makes me wonder why I haven’t thought of this. I love to make beef wellington but it can be a lot of food. This is perfect. I’m glad you like the idea! I was at a wedding when I first saw bite-sized Wellingtons. They were so good that I knew I had to give it a try, except I made sure that my mini Wellingtons were more than a single bite! Thanks for stopping by and I hope you and your family have a great Thanksgiving! Thank you and you as well. Beautiful. My eldest has been pressuring me to do a Wellington. These are lovely. Happy Thanksgiving. Thanks! I’m sure you would make an incredible Wellington if the delicious foods on your site are any indication! Sounds so good. Thanks for sharing. simon.